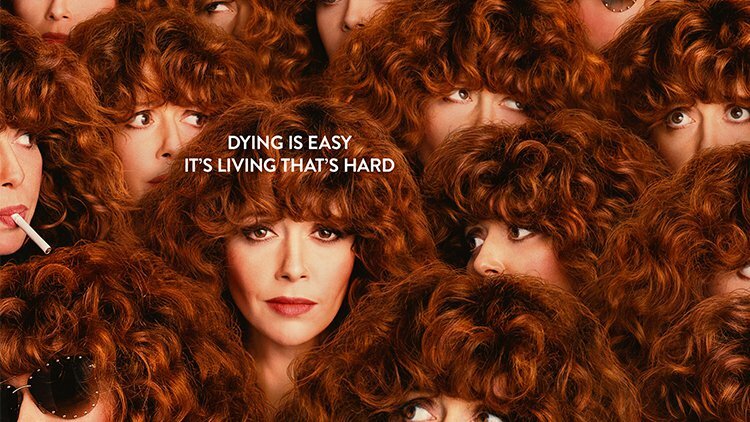 It has been a minute since we’ve seen a show that is as strange and zany as Russian Doll. From its hipster 80s music to the vibrant orange color schemes to the eccentric set of characters with the quirky pet names, this show is able to stand out from the rest simply based on the cinematic experience it offers. The experience of these characters repeating the same events time after time on a loop is as interesting to watch as it is frustrating. In a way, we feel just as confused and afraid as the characters do, because the repetition of events is trippy enough to make us feel like we ourselves as viewers are slowly going insane. Because of this, Russian Doll is definitely a show that you need to have a lot of patience for. If you’re looking for an easy breezy sitcom type of show then you might want to turn on Friends and save Russian Doll for when you’re in the mood for something a bit more complex. There are enough twists and turns on this show to make a six flags roller coaster seem like a slow-paced stroll ride. Yet the complexities of the show are not enough to drive viewers away. The interesting premise, the oddball characters, and the metaphorical imagery are enough to keep people captivated for all eight episodes of the series. The show is extremely unique in its own right, and the characters are refreshingly likable regardless of their abundance of flaws. There is something fresh and eccentric in regards to the character dynamics as well, that we don’t necessarily see too often on TV shows. The relationship between the two main characters, Nadia and Alan, is purely empathetic and without motive. These two aren’t romantically involved, (except for that one time), and they haven’t known each other for years, so there is really no need for these two be as caring and helpful to each other in the end, other than the pure desire they have to engage in human decency. One of the best takeaways from ‘Russian Doll’ is its message. This idea that we as human beings need other people in order to function. That we shouldn’t be afraid to reach out and ask for help. We shouldn’t be afraid of stepping up to the plate in order to help someone who we see struggling, regardless if they are family, close friends, or a complete stranger on the street. If more people take action in trying to help those who are suffering, then we literally become capable of saving lives. This is surely a powerful message, one that can resonate with anyone who is either struggling themselves or know someone who is. In the end, we may never know whether or not we will be happy in the future, but what we do know is that we will never be alone. It is rare when a show comes along with such a powerful message, leaving us with the realization of how much we as humans can do if we stop focusing so much on our own issues and start reaching out to help others. Doing so might be the only way for us to ever feel less alone.